THE TRANSHISTORICAL MUSEUM. Ann Demeester is a Belgian writer, art critic and museum director. From 2006 to 2014 Ann Demeester was Director of the Amsterdam contemporary arts centre De Appel. Since 2014 Demeester has been Director of the Frans Hals Museum in Haarlem. ou are the Director of the Frans Hals Museum in Haarlem in the Netherlands. What kind of museum is it? It is a slightly schizophrenic museum, because it has two main collections. 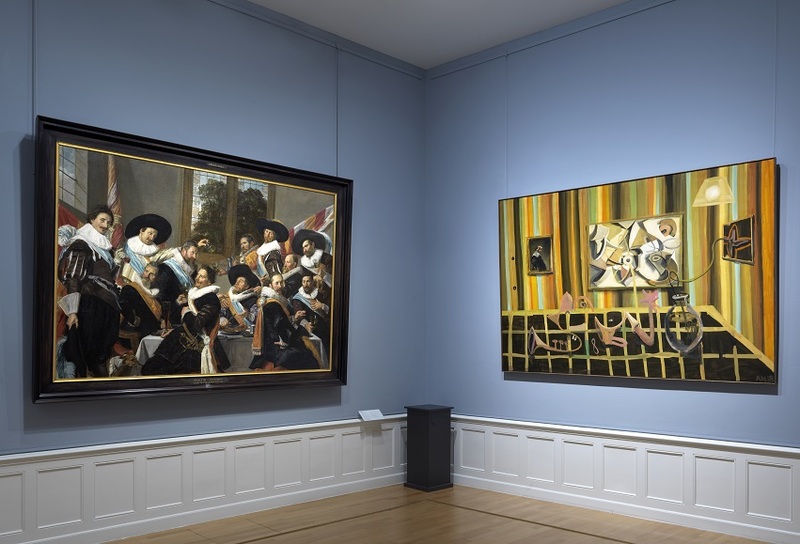 One is 17th century Old Masters revolving around Frans Hals and the Haarlem school, and the other is a contemporary collection which has an international scope, starting in the late 70s up til now, and focuses on emerging artists working in more immaterial forms. 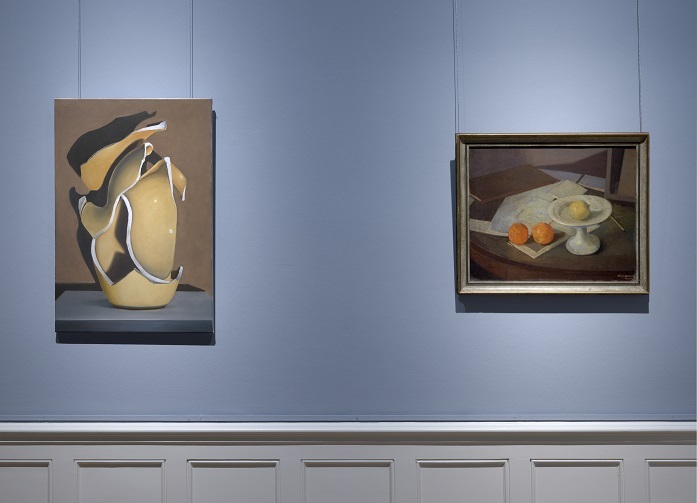 We have two main collections and two historical buildings, and since about a month we present Old Master and contemporary separately, but we also make a cocktail of the two, merging and confronting Old Masters with contemporary artists. 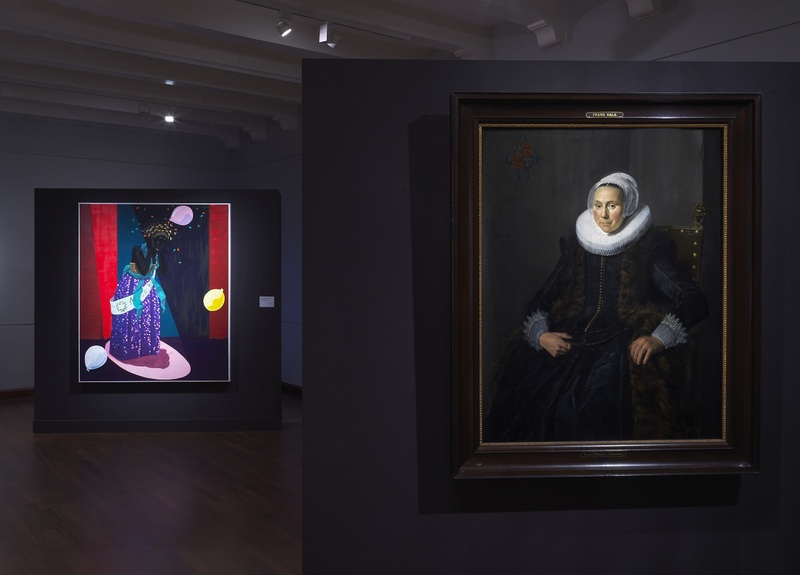 Who does the Frans Hals Museum belong to? It is an independent foundation, like most museums in the Netherlands, but the collection belongs to the city of Haarlem. 40% of our income comes from the city and 60% we generate ourselves through ticket sales, private funding and other funding applications to Dutch foundations. What kind of city is Haarlem? A mid-scale provincial city with about 240,000 inhabitants, and a strong historical consciousness and local pride. It is a suburb of Amsterdam, but likes to distinguish itself from it. In the 17th century Haarlem was a bigger and more thriving city than Amsterdam. How many visitors do you have? Is this idea of matching Old Masters and contemporary paintings something new? It has a strong legacy. It started in the 1930s in the Hamburger Kunsthalle in Northern Germany which embraced the ideas of Aby Warburg, an art historian who looked at art across time and across cultures. What did they do in Hamburg? Especially in the 60s they were doing exhibitions which mixed art from different periods from their very broad collection. The then director did not care about periodisation and thought it was interesting not to present art in the context of its own time, but to present it in relation to art from other periods. That conversation has also been held by the National Gallery in London, and also French and Swiss museum exhibition curators have done this, combining objects from different periods, but also from different cultures and geographies. The mixing is definitely nothing new. What kind of mixing are you doing now in your museum? Here the difference is that we do it with the entire collection, whereas very often it’s a single project by an artist or a thematic exhibition. Now our two buildings are totally devoted to Frans Hals and to the responses that contemporary artists give on Frans Hals. It ranges from a German painter Anton Henning and a Belgian painter Michaël Borremans and also younger artists like Nina Katchadourian and an American painter Kerry James Marshall and others. It’s a very large spectrum. 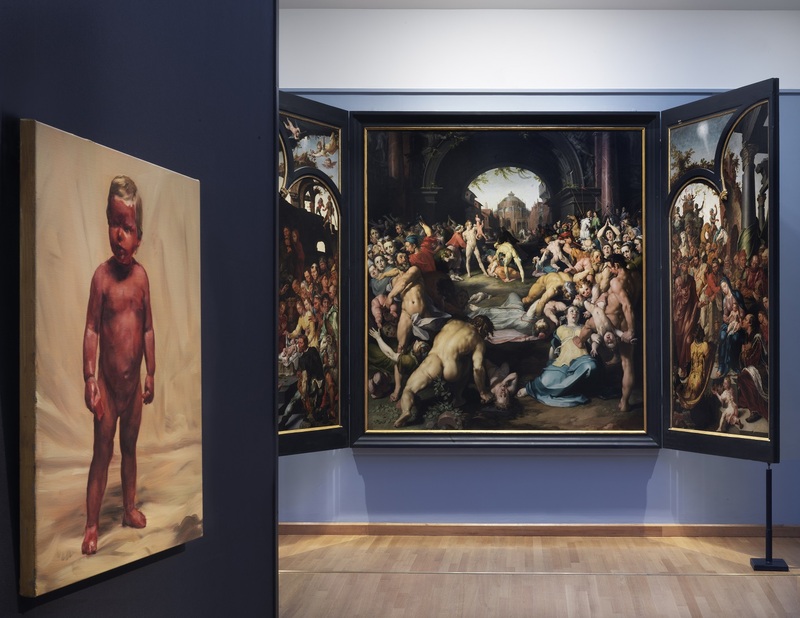 In one building they deal with the physical paintings of Frans Hals and in the other building is a conceptual exhibition that deals with invisible paintings by Frans Hals, where we devote all the attention to the work of Frans Hals that you cannot see. Like many other painters, we know works he has made and we also know works that have been destroyed, disappeared, are fictional or are in private collections. Is this new layout successful? We get two types of reactions. One is that people are abhorrent and think it is blasphemy, and the other type is people are really excited and find it refreshing and gives new meaning to the Old Masters. The reaction is very balanced, 50/50 positive and negative. Nobody is in between. They either embrace it and are jubilant, or think it is a horrendous idea. 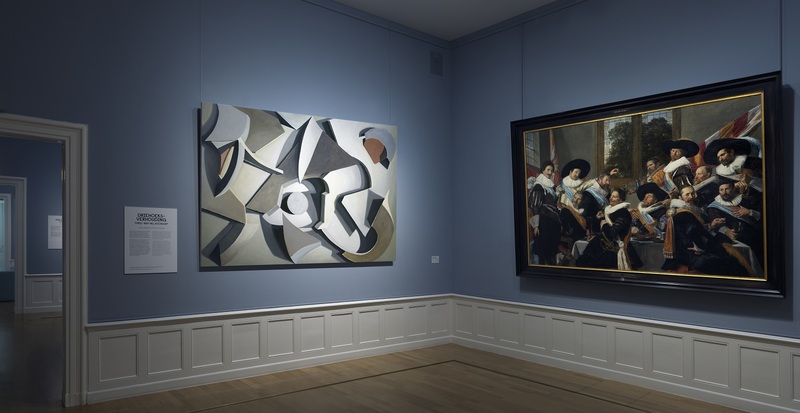 Why should Old Masters be exhibited next to contemporary artists? What is the idea? Is it a fashion? No, it’s not a fashion, it’s a development. Museums have been made by art historians who like to classify and define things by period, style, or the movement that the artwork or artist is part of, so they separate things from each other in their historical context. But museums are also devoted to artists, and artists traditionally have looked at other artists. Rubens and Monet looked at other artists, Rembrandt looked at Mughal miniature paintings. Gustave Courbet, Édouard Manet, John Singer Sargent, they all came to Haarlem to look at Frans Hals. Artists have always thought across time, and they look at their predecessors in a very intuitive, associative way. What does Frans Hals have to do with a very contemporary artist? It is because the artist relates to that. It is not just a curatorial idea. The history of art is not clear and linear in a logical sequence. The real history of art is very messy and chaotic, and much more about relationships in many different directions. Are you against the idea of museums being categorised? I think there should be variety, and every museum has to forge their own methodology. We do this here because it’s logical to do it with the kind of collection we have and the proto impressionist Frans Hals, but keeping things separate is also a way of showing art. There should be plurality, but it’s interesting that many museums now experiment with the transhistorical. People feel the need to create relationships across time. Western society stresses purity and single mindedness, but there is also a desire to have multiple voices and mix things up. That is what our time needs. Nowadays people look more and more at contemporary art and less at Old Masters, so is this also a way to encourage people to go back to the Old Masters and refresh their view of them? This is not true in the Netherlands, where people hate contemporary art and love Old Masters, and it’s easy to draw them into Old Masters. There is a difference between different nations. In the UK and Italy contemporary art draws in more people. In the Netherlands it is the opposite reaction, people are more attracted to 17thcentury art. How come? The Netherlands are modern and prosperous. My theory is dangerous because I am Belgian. In Belgium there is a stronger presence of contemporary art. AkzoNobel has a big contemporary art collection, and their new Belgian CEO Thierry Vanlancker stresses the importance of contemporary art to enlarge our perspective on life. I have never heard the CEO of a Dutch company say that! What is the difference between a museum named for an artist that has mainly a collection of his work and another museum? It’s very difficult to generalise. The Van Gogh Museum has only an amazing collection of Vincent van Gogh’s work and so is an exception, the Rubens House museum doesn’t have so many of Rubens’ works. There are many differences. We are named after Frans Hals because we have the largest collection of Hals in the world, but our collection is broader than that. We have Haarlem masters from the 16th and 17th century, painters like Pieter Claesz and Adriaen van Ostade, but the most important figure is Frans Hals. 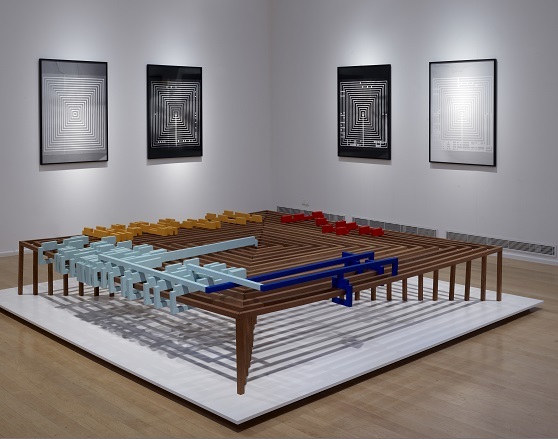 Monographic museums come forward for different reasons and have very different futures, because it doesn’t make sense to present an artist in isolation, so every monographic museum will have to decide how it reinvents itself. Which are your favourite museums? I love the Museum Insel Hombroich, a private museum in Düsseldorf that consists of different buildings in a park. I love the Kolumba Museum for religious art in Cologne, they are very eclectic. I also love the Serralves, it’s in Porto, Portugal, in a contemporary setting. The Kunsthistorisches Museum in Vienna is the perfect museum, and then there is the Kunstmuseum in Basel. Which is the best country for art? Every country has its problems. There is no utopia or paradise for art. In the UK, Germany, Italy, France, there are different problems in every country. I don’t know where I would move to if I wanted the ideal situation. Museums have changed into happening spaces and popular centres of experience, and paintings are becoming too expensive to buy. Is the role of museum director now very far from being an art historian as it used to be before? It’s a development that has been going on for 15 years. A museum director now has to have a very strong vision and connection to art and also be a general manager. It’s a bit Jekyll and Hyde. You need to make art exciting and to cultivate research, but you also need business skills. What about the new book that you publish? It is called ‘The Transhistorical Museum, Mapping the Field’ and fits the zeitgeist and the museum that I run. It was published in English by Valiz at the end of May and looks at the history and tradition of curating Old Masters in relation to contemporary art.